Below you can view all the homes for sale in the Hidden Valley subdivision located in Raleigh North Carolina. 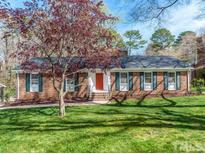 Listings in Hidden Valley are updated daily from data we receive from the Raleigh multiple listing service. To learn more about any of these homes or to receive custom notifications when a new property is listed for sale in Hidden Valley, give us a call at 919-928-5027. Fenced yard with hardwood trees, 2 car garage with unfinished basement. 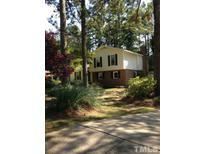 MLS#2245934. 3183. 2 laundry hook ups, hardwood floors and much more! MLS#2228924. 1758. Kitchen has been updated. MAKE AN OFFER. 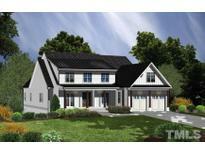 MLS#2220328. 1043. Pictures are from another house the builder sold. MLS#2212487. 3221. Family Room: Coffered Ceiling, Quad Window, Surround Gas Log Fireplace w/Custom Mantle & Built Ins, & French Door to Screen Porch w/Fireplace! Upstairs Bonus w/Built Ins! MLS#2195446. 1128.